The Closed Business Report shows your conversion rate, cost per conversion, and return on investment (ROI) on all the leads you're tracking in LeadSimple. The filtering options are very flexible, so you can modify the report to answer a host of questions about sales performance. How many leads have we closed each month this year? What was our close rate by lead source last year? How well did each of our team members perform last year? For this report to accurately report cost per conversion and ROI, you'll need to add Cost and Value data to your leads. Here's how to do that. Deal Value should be the expected Customer Lifetime Value if the deal closes. Lead Cost should be the cost per lead from your lead provider, or simply your average per-lead marketing cost to generate the lead. 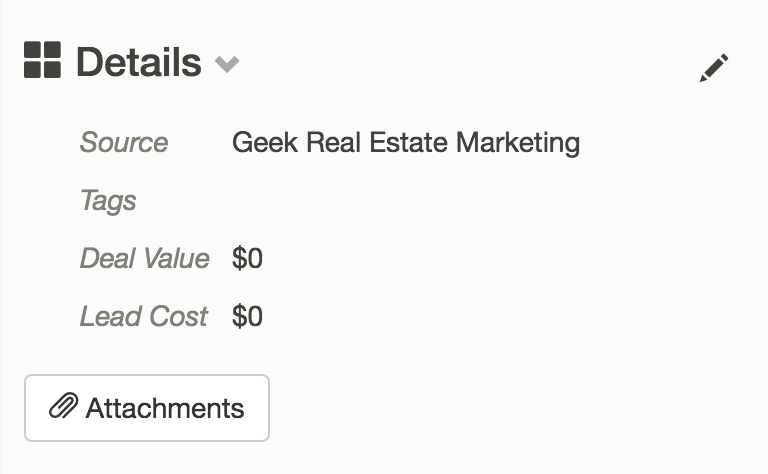 You can set an average per-lead cost on each of your lead sources, which will auto-populate this field for you when a lead is created. 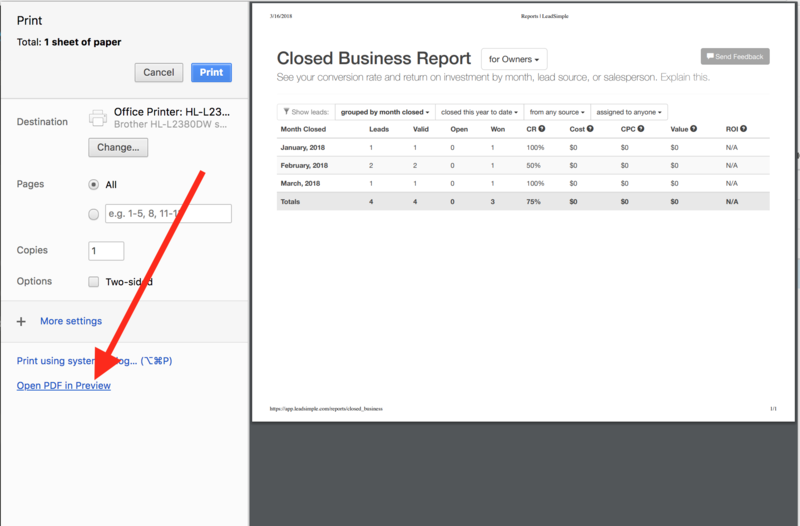 To email the report to someone, right click on the page, and select Print. Then, choose Save as PDF. The screenshot above applies if you're using Google Chrome, but other browsers should have this option as well. This will save a copy of the report to your computer as a PDF, which you can then attach to an email.